Chelation implies ion and/or molecule bonding to metal ions. The ions of molecules being bonded to the metal ion are commonly known as chelants or chelating agents. The overall scope of use of chelated metals is already massive in agriculture as well as in human nutrition, and is expected to show a greater scope of use over time, owing to advancements in the global metal chelates market. Chelation is also a useful process in healthcare, where it can be used as contrast agents in MRI scanners and in a treatment procedures that strips toxic metals from a body. One of the more large scale uses of metal chelates at the moment is in the agriculture industry, as fertilizers. Metal chelates are used as soil additives to provide those micronutrients that are necessary for healthy plant growth. Phosphates are a major component of plant fertilizers. However, constant use of farm land can weaken the soil, causing it to lose metallic content and micronutrients. This is caused by the conversion of soil metals such as iron and zinc into useless insoluble solids when they come in contact with phosphate salts. Metal chelates are therefore a highly valuable addition to fertilizers as they ensure the balance of salts and micronutrients in the soil. Chelating agents such as EDTA are currently in high demand due to their versatile nature and a wider scope of use. However, there are certain problems that arise with the overuse of chelating agents in fertilizers, and the non-biodegradable nature of several chelating agents is making governments and agriculture bodies question their long term usage. The evolution of agricultural practices for high yield has benefitted the global metal chelates market. Metallic chelates are extensively used in agriculture as micronutrient fertilizers for the uptake of metal ions by plants. This is because metal ions such as Fe+2, Zn+2, Mn+2, and Cu+2 easily react with negatively charged hydroxide ions (OH-), which makes them unavailable for plants. The metal chelate coats the metal ion, thereby protecting it from the surrounding OH- ions. The report is a valuable instrument for insights into the trends, opportunities, and market size estimates of the global metal chelates market between 2017 and 2025. The report’s users, therefore, receive an accurate analysis of the global metal chelates market that can be used to plan cutting-edge business strategies for the future. The research report is prepared after an extensive research phase followed by data scrutiny. The deterioration in soil quality and pH level, the incessantly increasing demand for higher agricultural output, and increasing knowledge about the nutrient requirement of agricultural crop is driving the global metal chelates market. However, the effect of non-biodegradable metal chelates is challenging the market’s growth. The global metal chelates market can be analyzed on the basis of type, crop type, mode of application, and geography. On the basis of type, the market can be segmented into primary nutrients, micronutrients, secondary nutrients, and other nutrients. Amongst these, micronutrients is the largest segment followed by primary nutrients. Micronutrients is also expected to register the fastest growth until the end of the forecast period in 2025. By crop type, fruits and vegetables is expected to display a significant growth rate in the metal chelates market during the forecast period. The rising awareness among farmers for the utilization of chelating agents to provide essential nutrients to fruits and vegetables is exhibiting a substantial demand for metal chelates in the sector. The increasing demand for high output of fruits and vegetables is also driving the metal chelates market. By mode of application, the metal chelates market can be segmented into soil, fertigation, and foliar. Amongst these, foliar is expected to display the highest growth rate until the end of the forecast period in 2025. This is because foliar is easy, cost-effective, and time-effective mode of application, thereby leading to its increasing popularity among farmers. The global metal chelates market can be divided into the regional segments of North America, Europe, Asia Pacific, Latin America, and the Middle East and Africa. Amongst these, Asia Pacific is expected to display the highest growth rate due to the increasing adoption of modern agricultural practices. The incessantly increasing demand for high agricultural output for the large population in China and India is driving the growth of the metal chelates market in Asia Pacific. 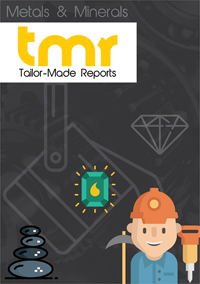 The report mentions and profiles key players operating in the global metal chelates market, namely BASF SE, Syngenta AG, Haifa Chemicals Limited, Akzo Nobel N.V., and Nufarm Limited, Aries Agro Limited, Valagro SPA, Dereti Agronutritional, Van Iperen International, and Protex International.